Team Canuck Place donors come in all shapes and sizes and we recently received a wonderful gift from the students at Glenwood Elementary in Maple Ridge. 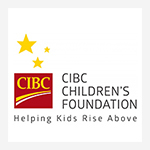 Wishing to pay tribute to their friend and classmate Lorne, who was on the Canuck Place program, they organized a Dance-a-Thon and raised an incredible $456.65. To celebrate their achievement, everyone’s favourite whale, FIN visited their school for a very special assembly, complete with more dancing! Students at Glenwood Elementary in #MapleRidge raised over $400 for Canuck Place! To help celebrate @CanucksFIN stopped by to accept the donation, and have a little fun with an assist from @taylorswift. Great job guys, we’re so excited to have you on #TeamCanuckPlace! 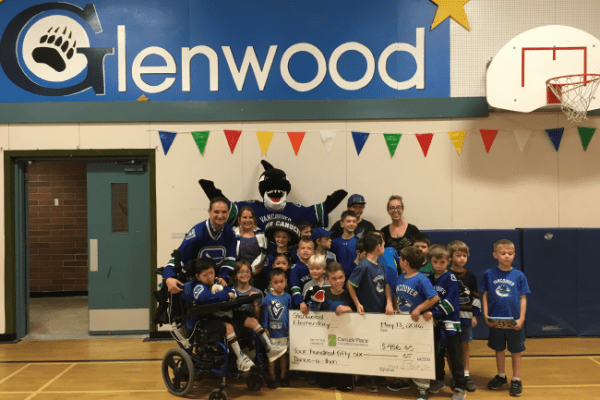 Our Team Canuck Place program empowers children all around the province, just like the students at Glenwood Elementary, to raise money for Canuck Place and we’re so inspired by the generosity we see. Last year, BC’s children raised over $73,000 for critically ill children and the families who love them.